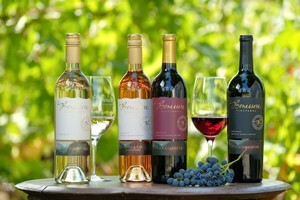 Receive a sampling of Benessere Vineyards' wine four times annually. Quarterly allocations vary and include both new releases and limited production wines not available to the public. This is the perfect sampler club for those who enjoy receiving a variety of wines throughout the year! QUARTERLY SHIPMENT OF 3 BOTTLES - REDS ONLY! This is the perfect sampler club for those who enjoy receiving a variety of red wines throughout the year! La Vita Bella "The Beautiful Life"
Tutti I Rossi "All Reds"
You will receive 2 bottles each of three RED wines. This club is perfect for the person that enjoys a bottle of wine 1 to 2 times per month. You will receive a total of 12 bottles of RED wine in each shipment. This club is perfect for the person that enjoys a bottle of wine about once per week. You receive special benefits when visiting the winery, complimentary shipping on all club packages and exclusive access to wines unavailable to the public.